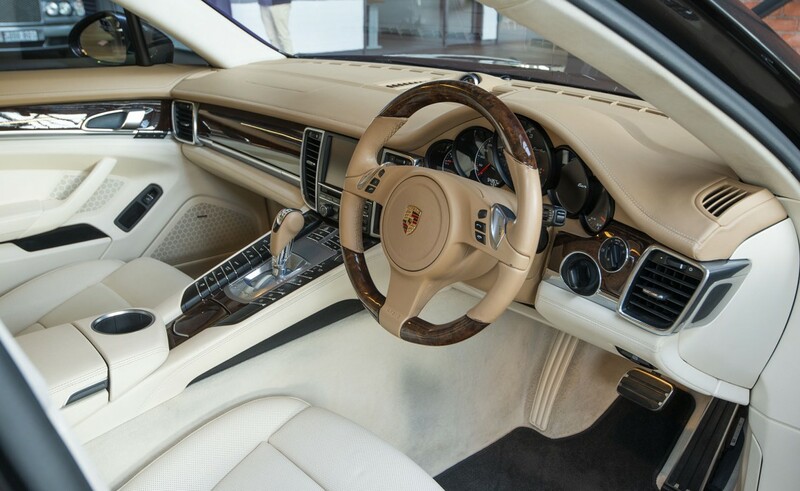 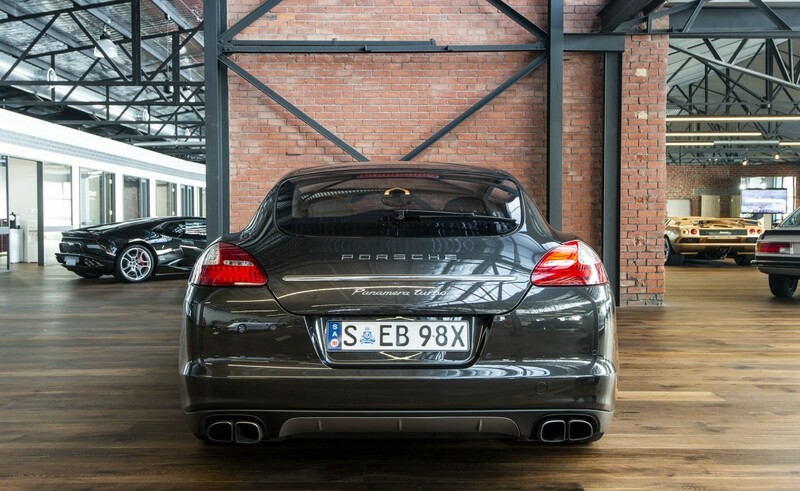 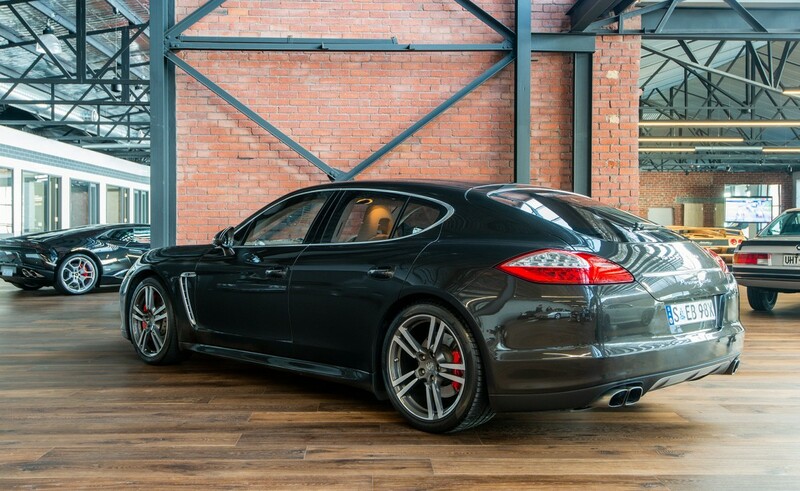 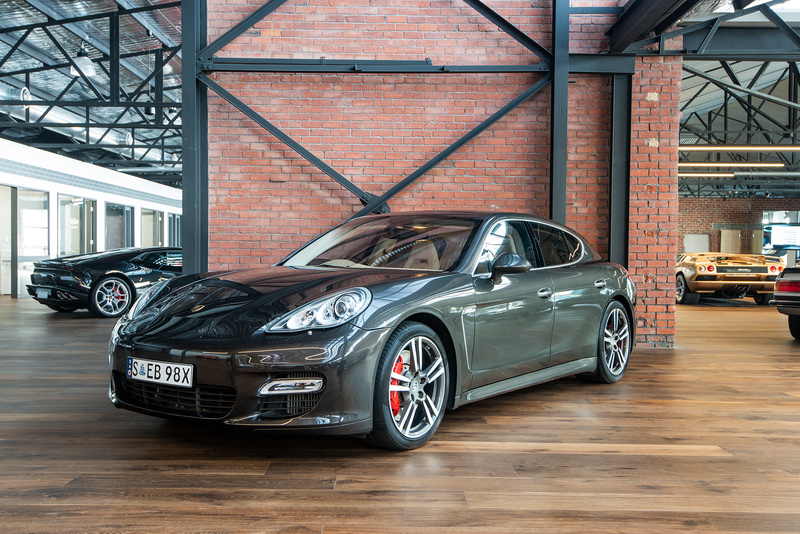 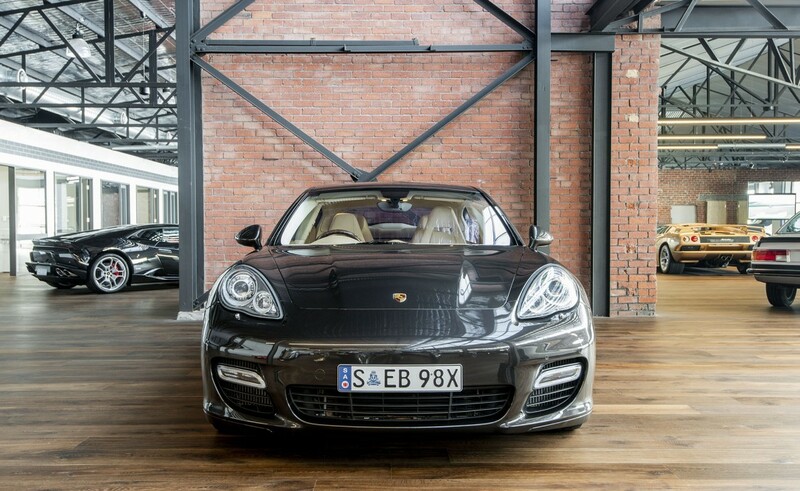 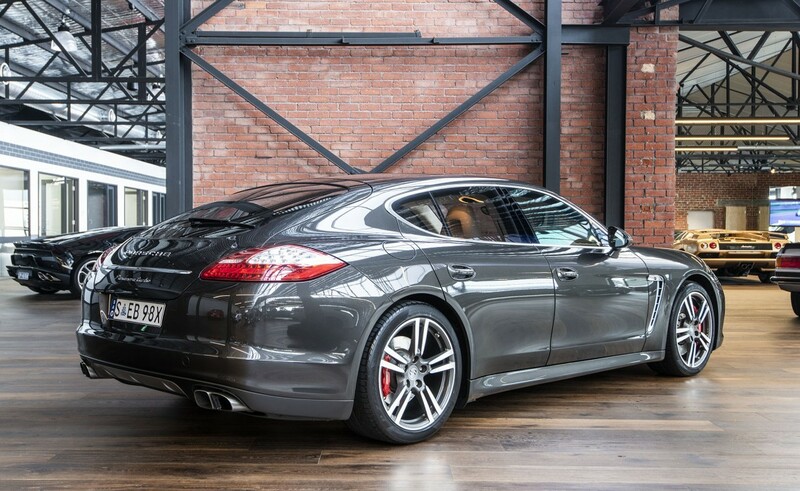 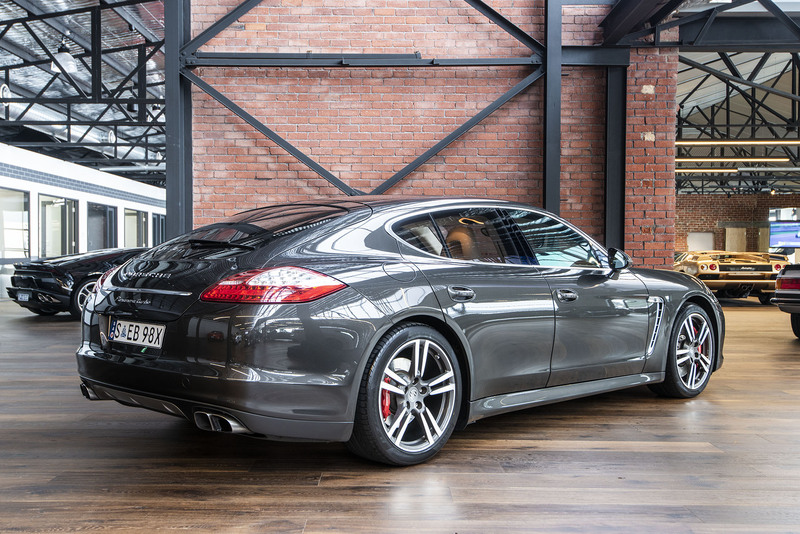 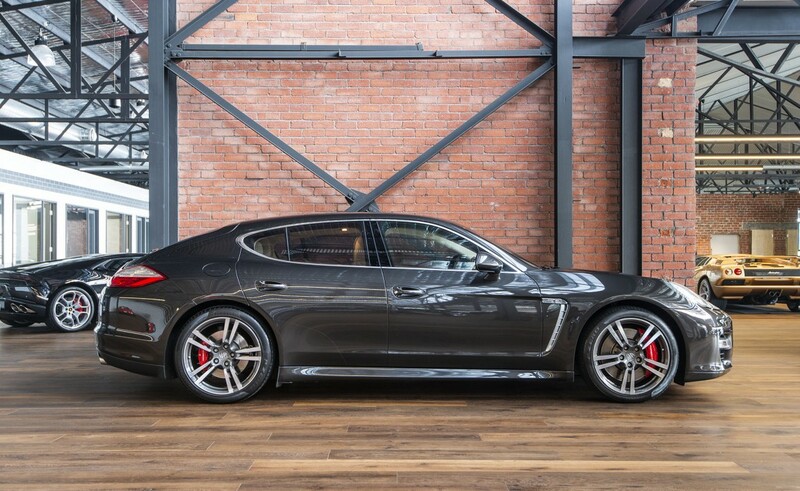 If you are looking for a special example of the Panamera Twin Turbo then here is one to consider. 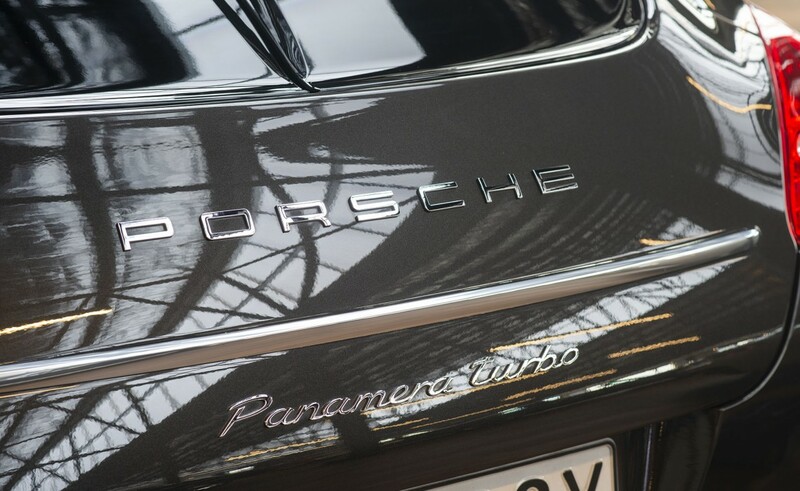 Under Porsche warranty until September 2018 (and extendable), this Turbo has been serviced by the book. 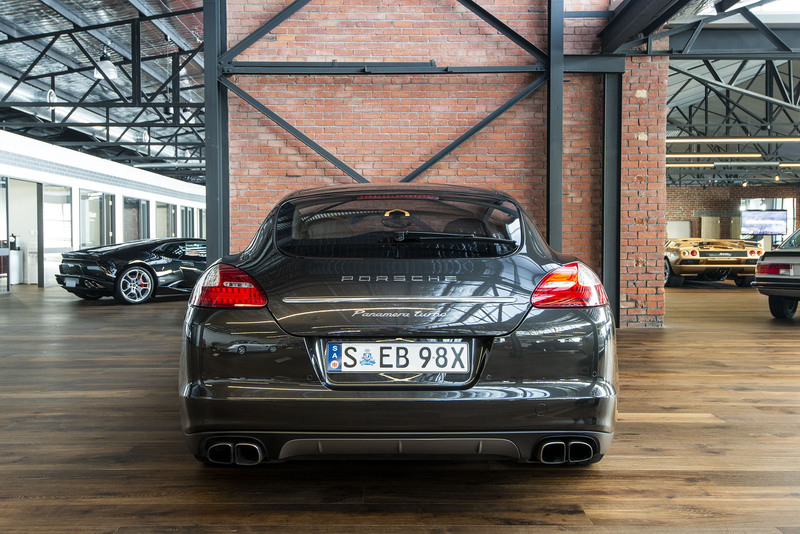 Carbon grey metallic with superb Luxor beige / cream two-tone leather, 20 inch 911 Turbo 2 wheels, 4-zone airconditioning, Sport Chrono Package Plus, Servotronic (light steering at low speeds), Premium rear seats, multi - function steering wheel in dark walnut, electric roll-up blind on rear window, privacy heat-insulating glass and illuminated aluminium door entry guards - these options are on top of the high specification the Turbo enjoys. 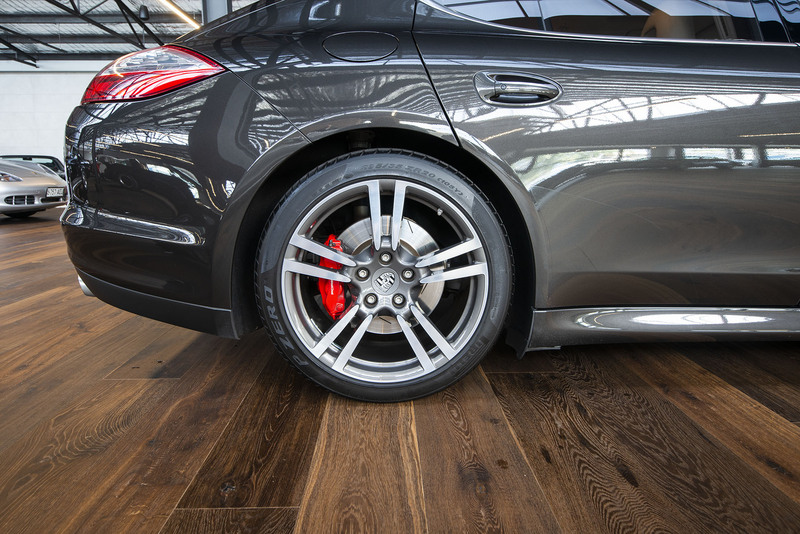 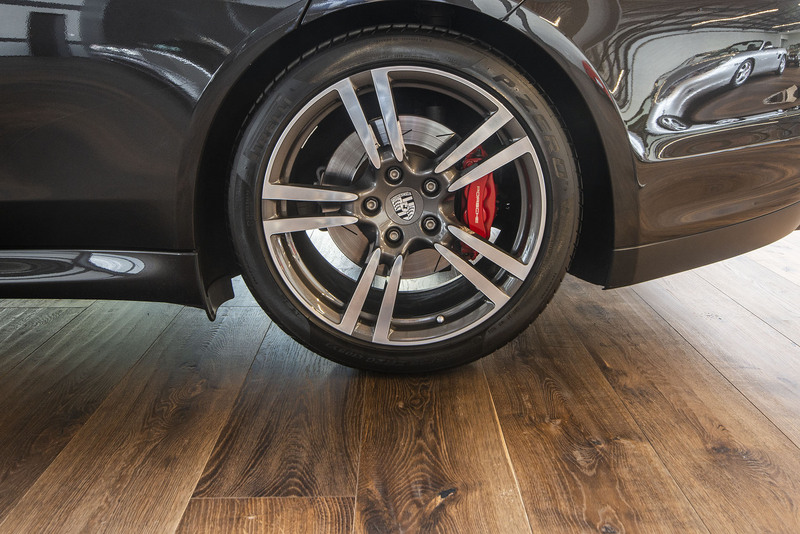 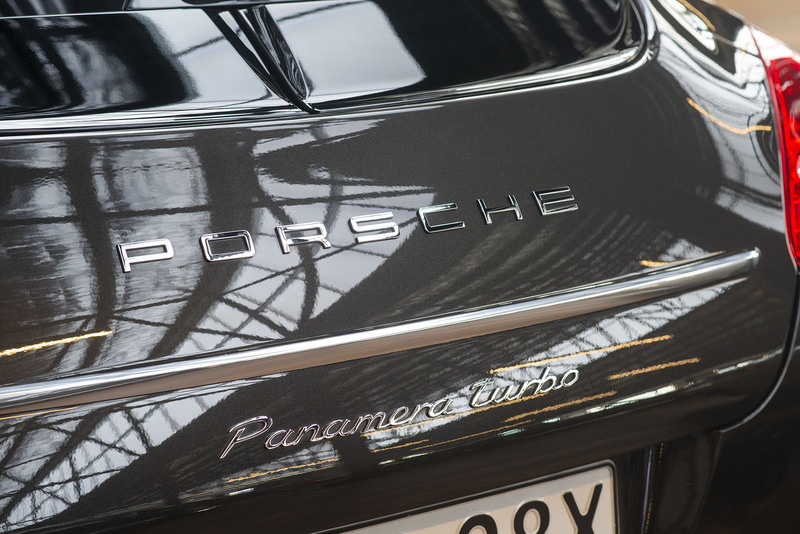 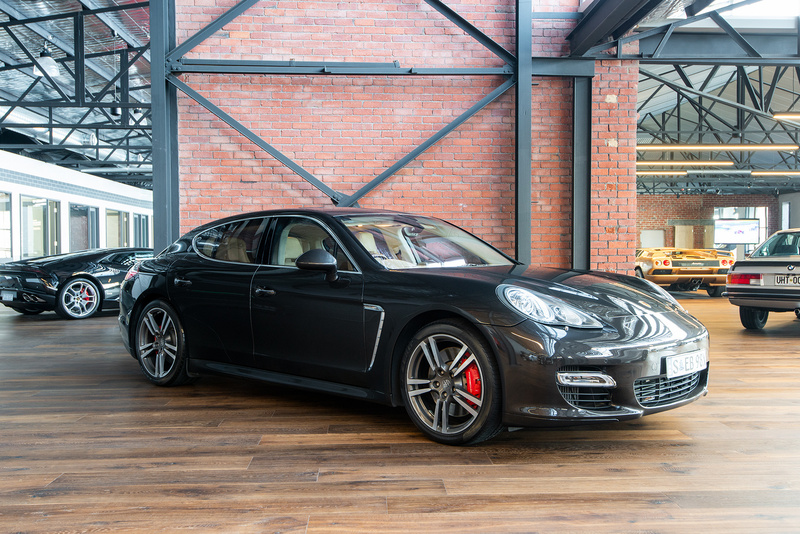 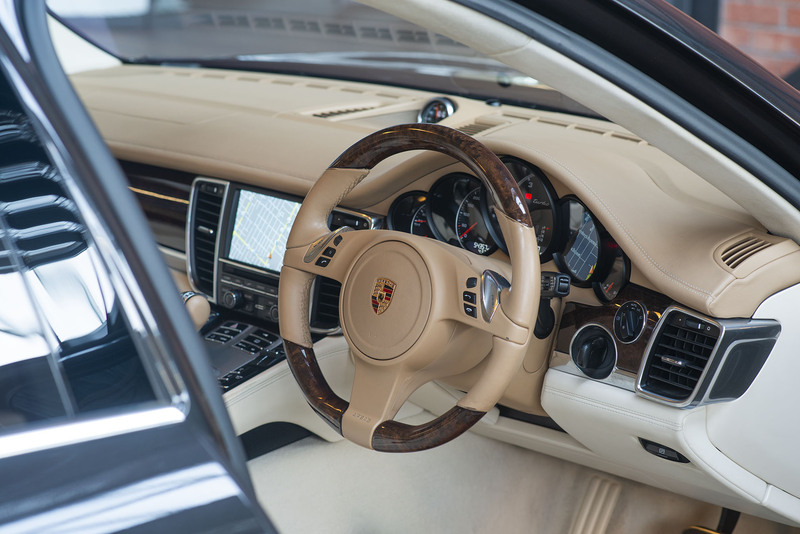 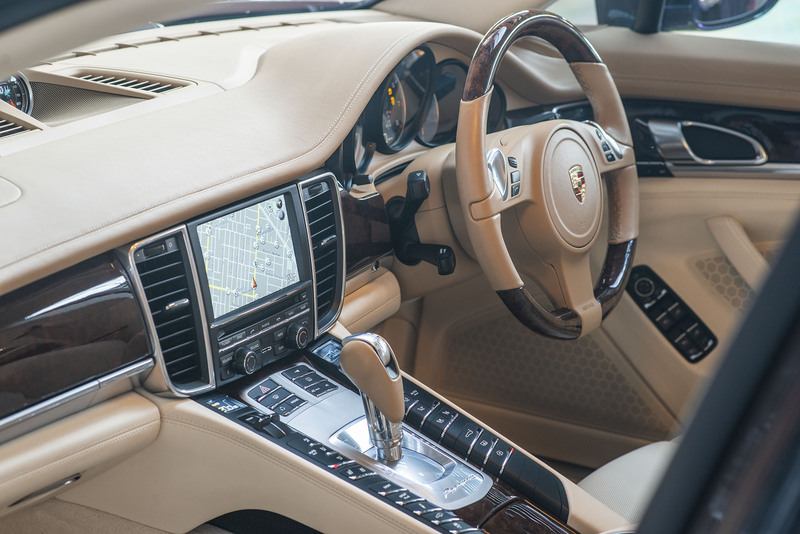 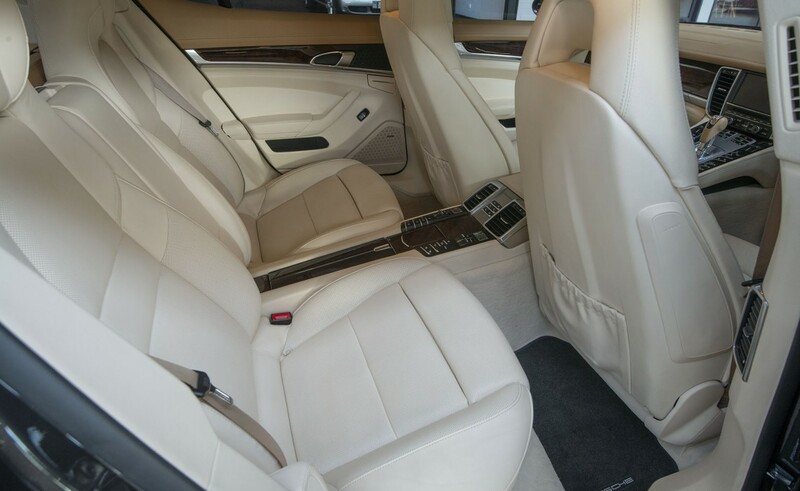 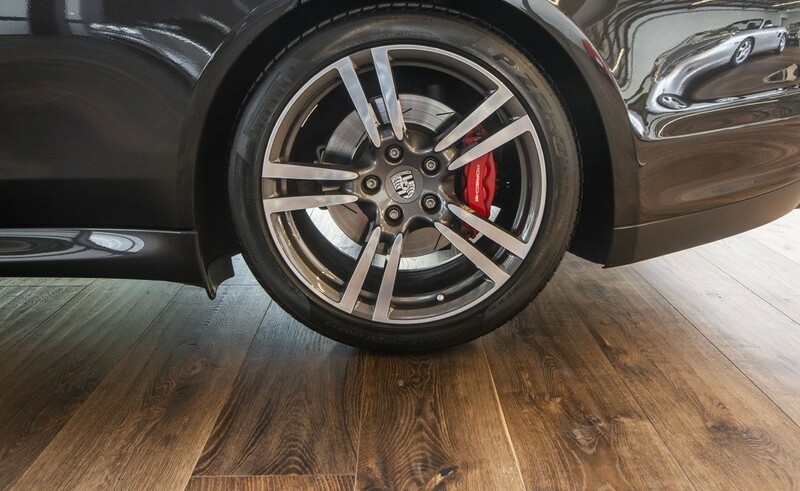 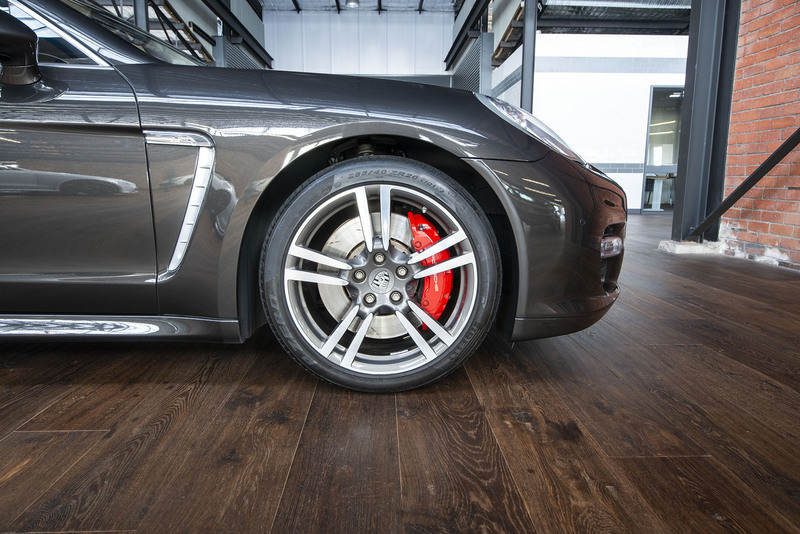 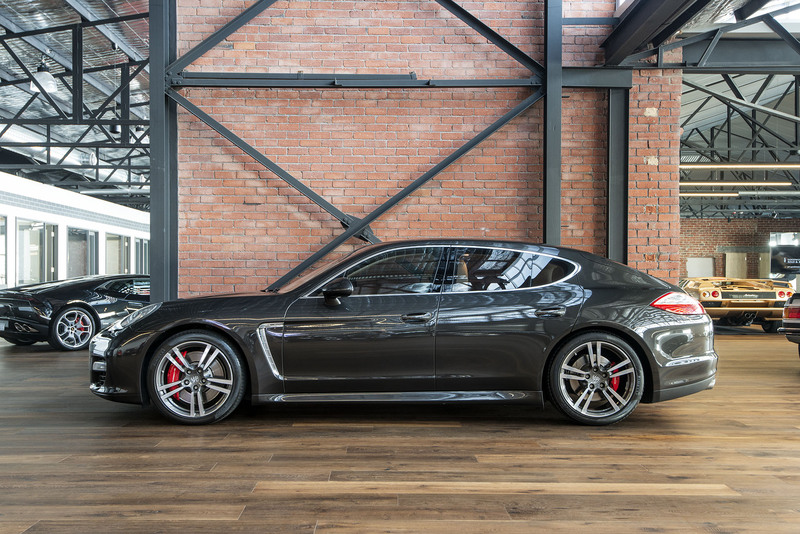 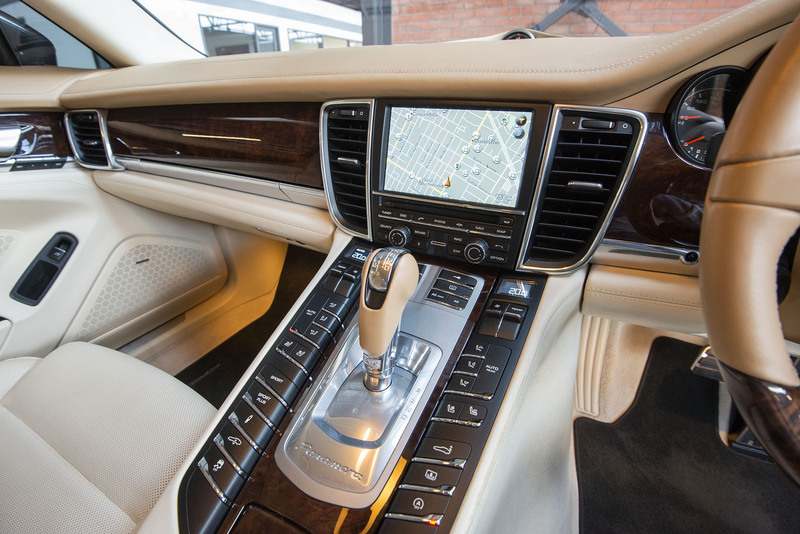 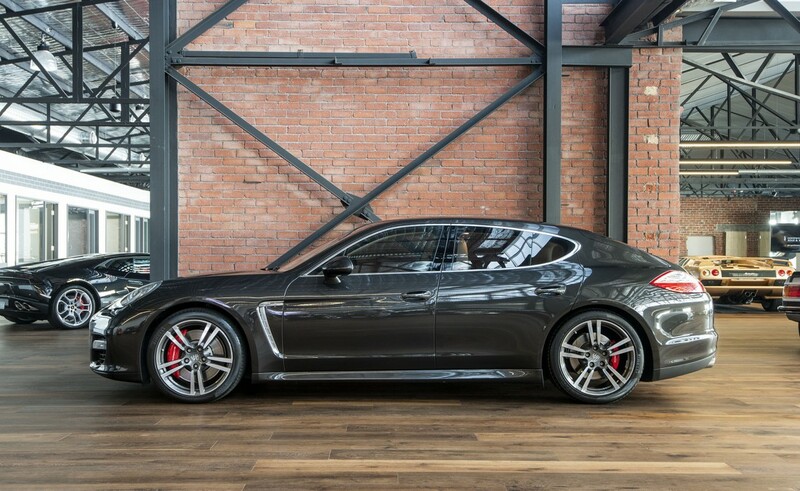 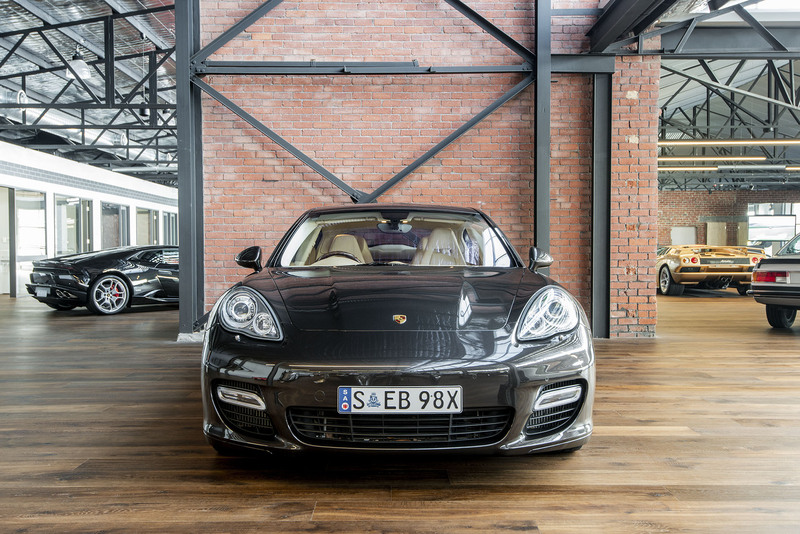 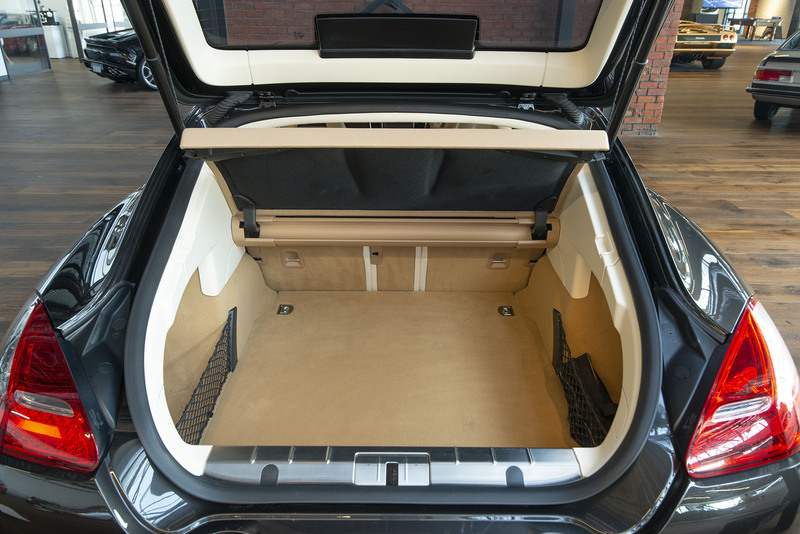 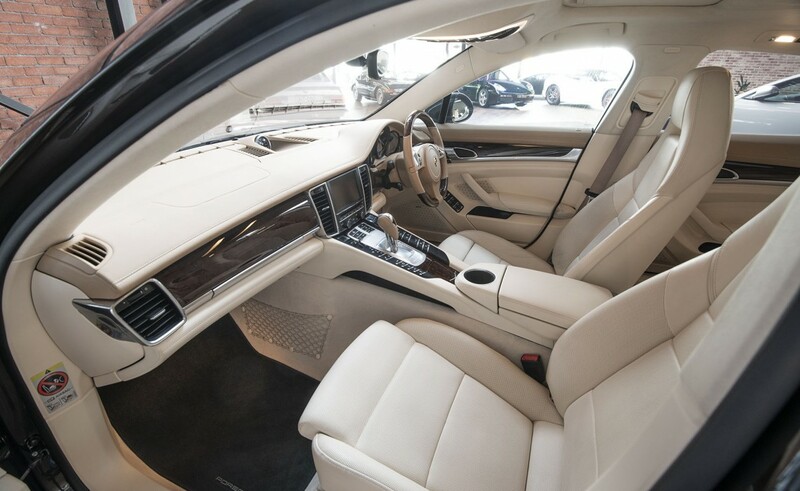 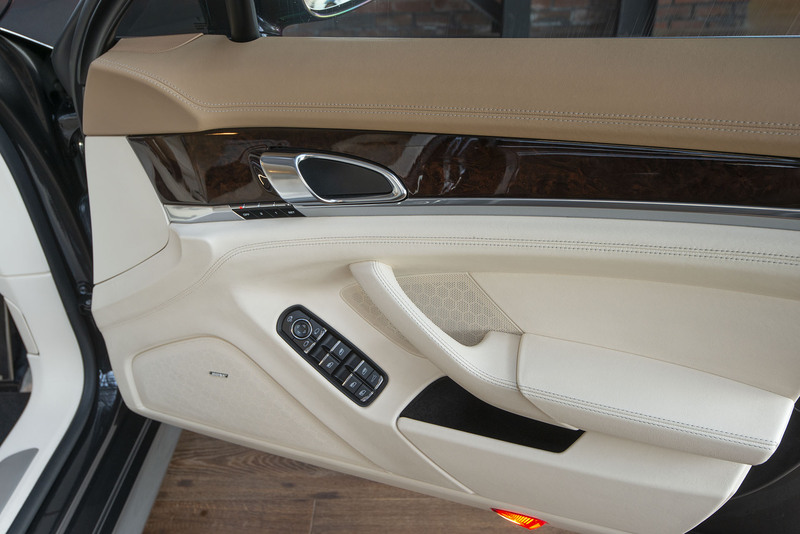 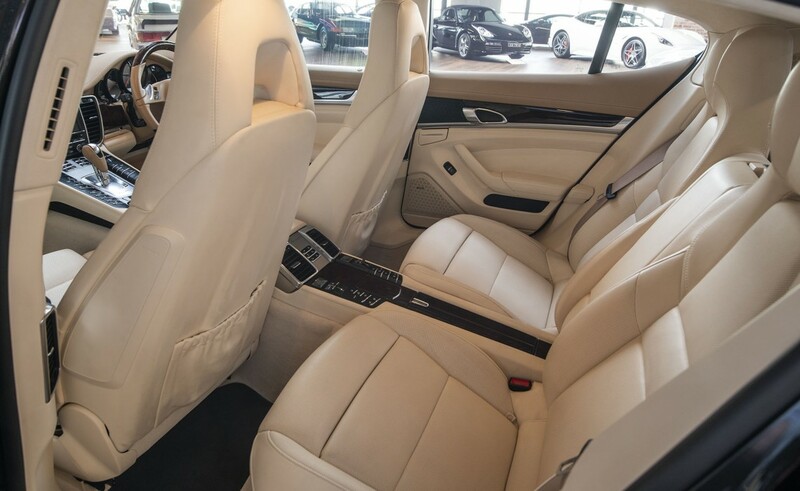 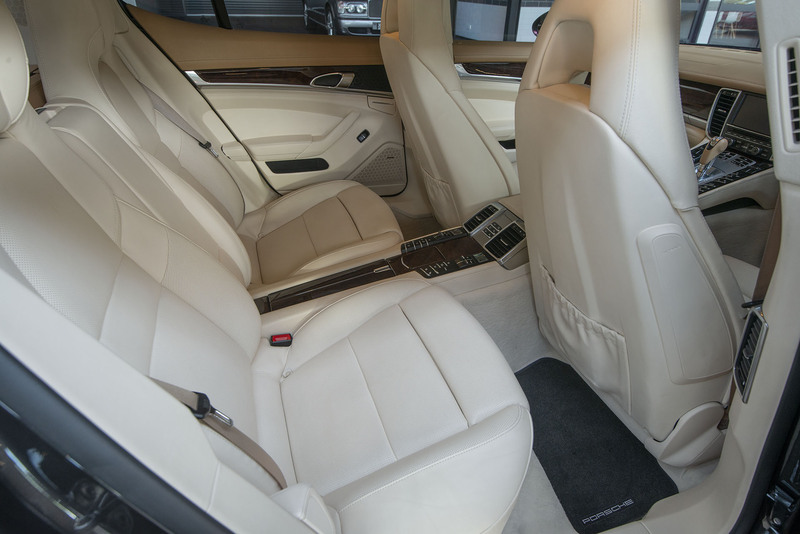 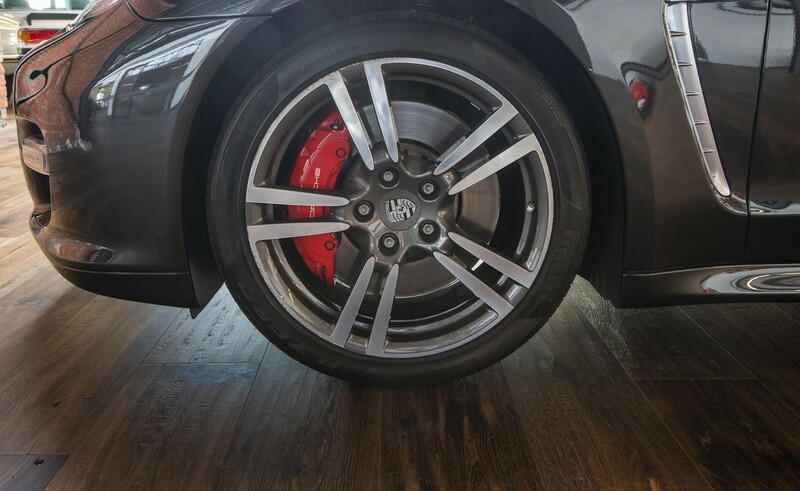 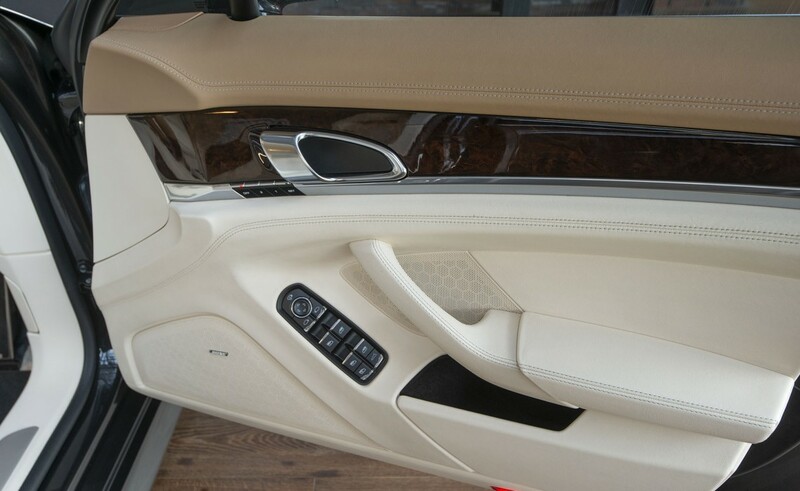 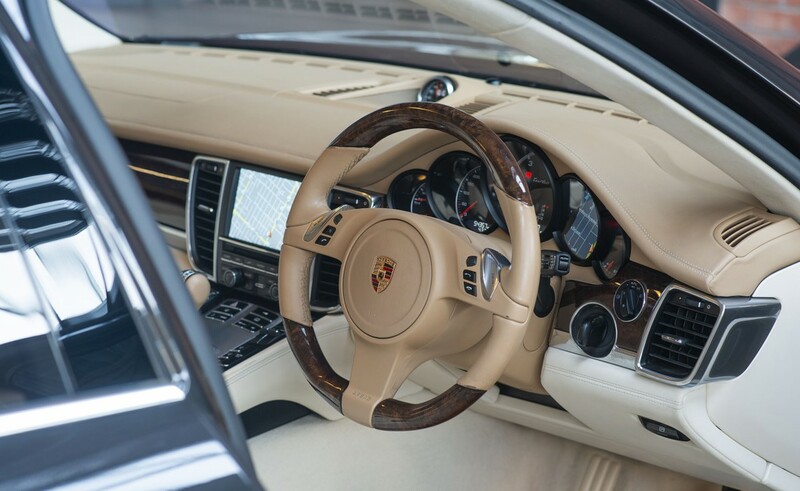 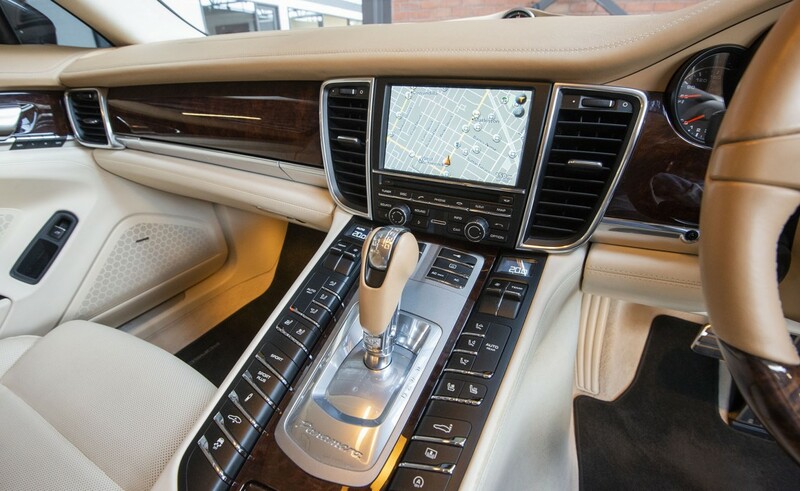 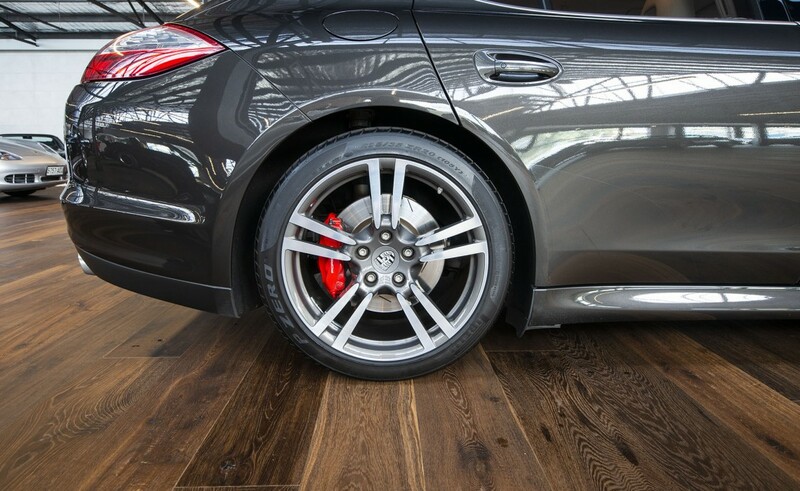 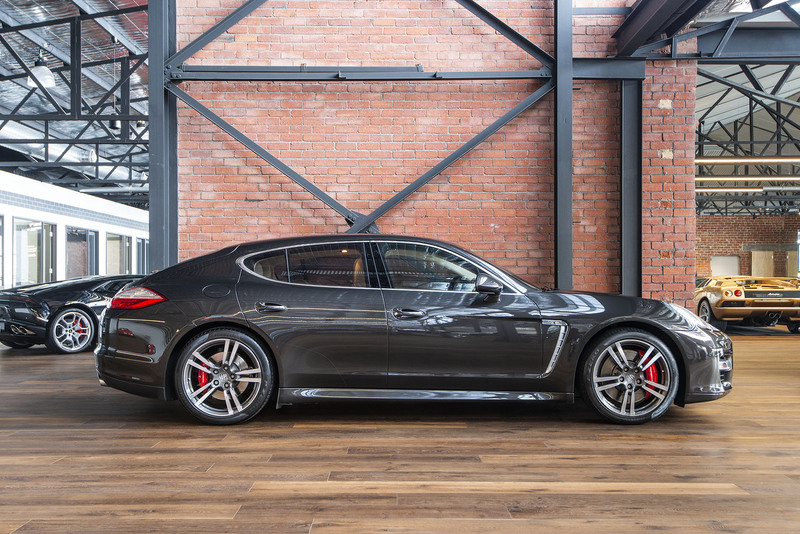 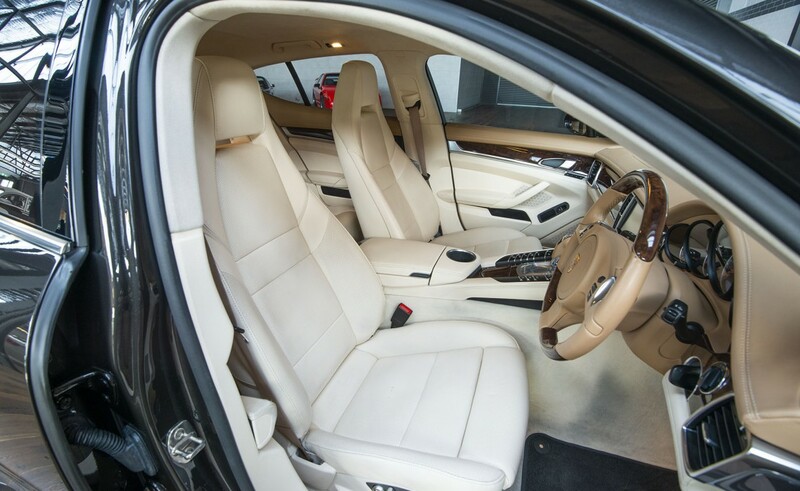 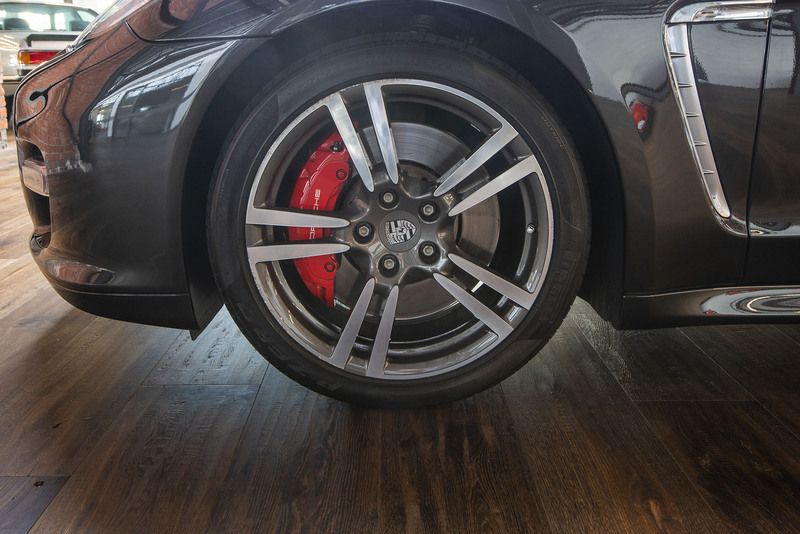 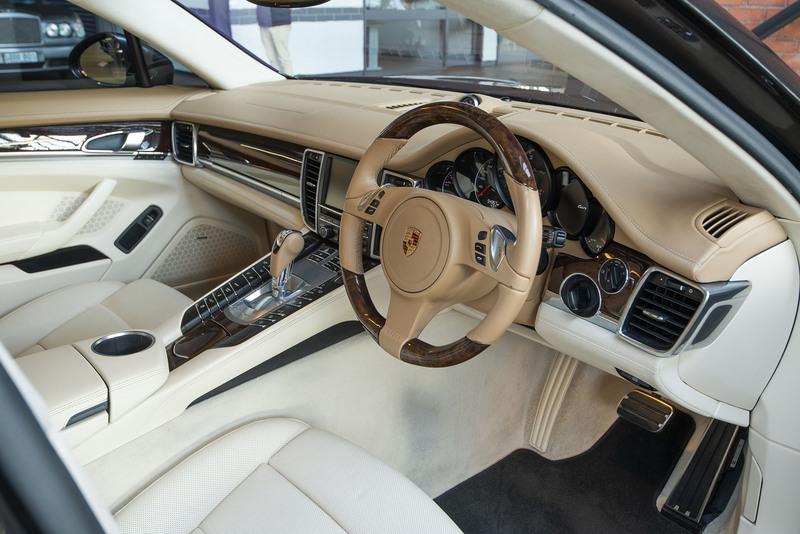 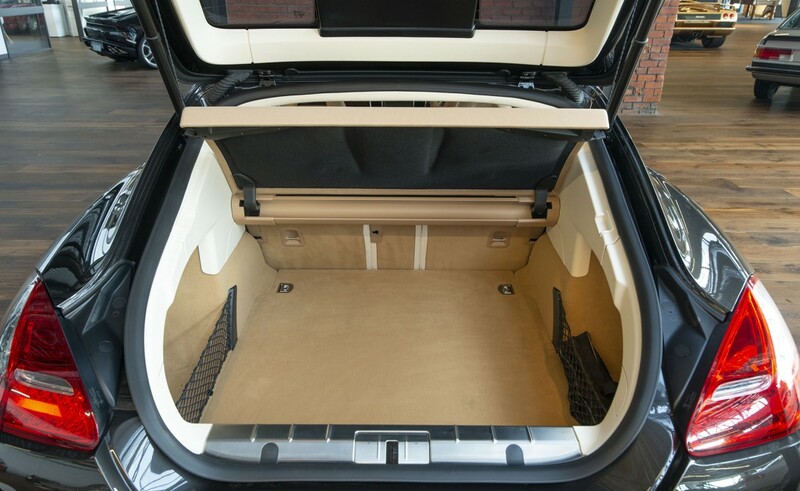 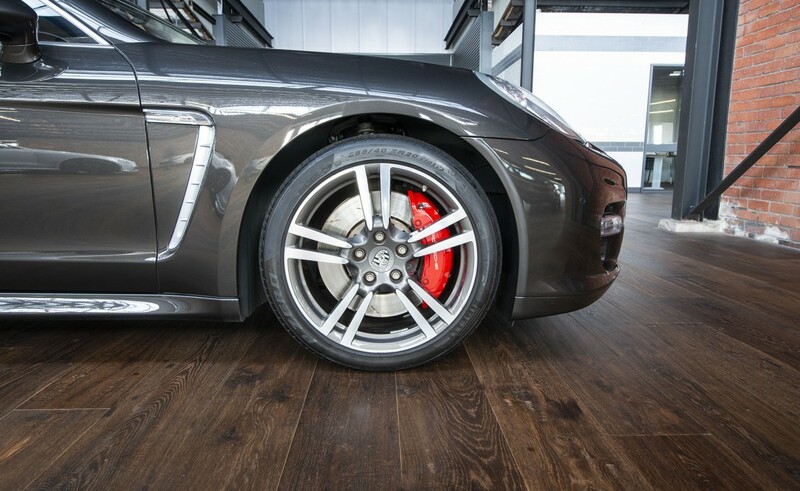 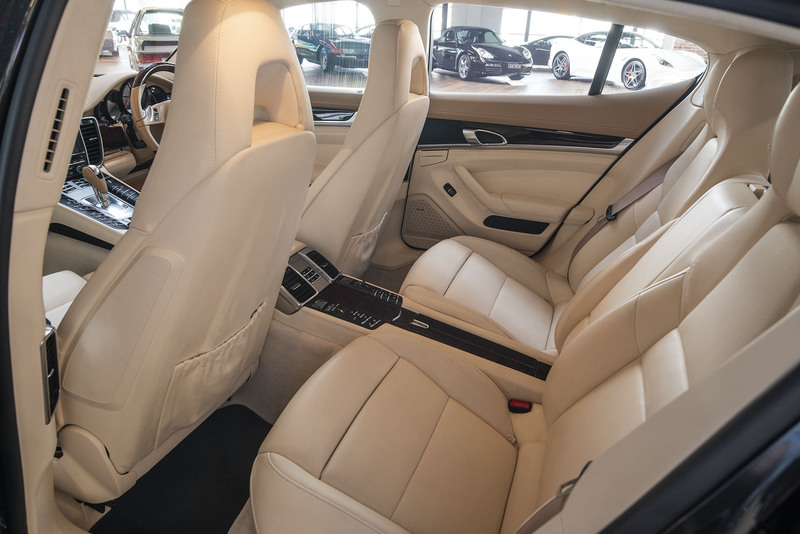 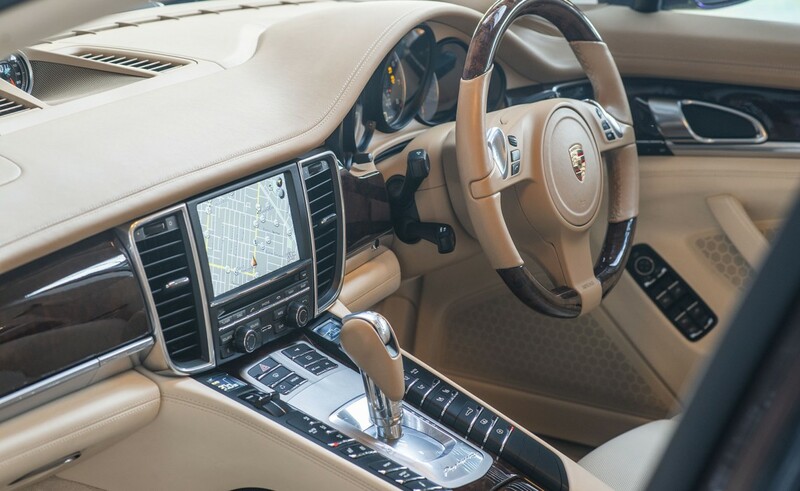 The Panamera has a light feel for a spacious vehicle and the all-wheel drive system coupled to Porsche's traction management systems provides sure-footed handling far beyond that of a normal car. 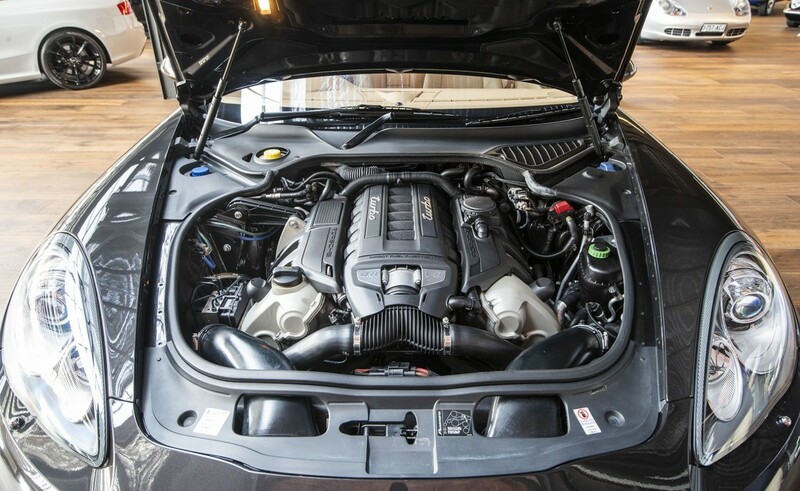 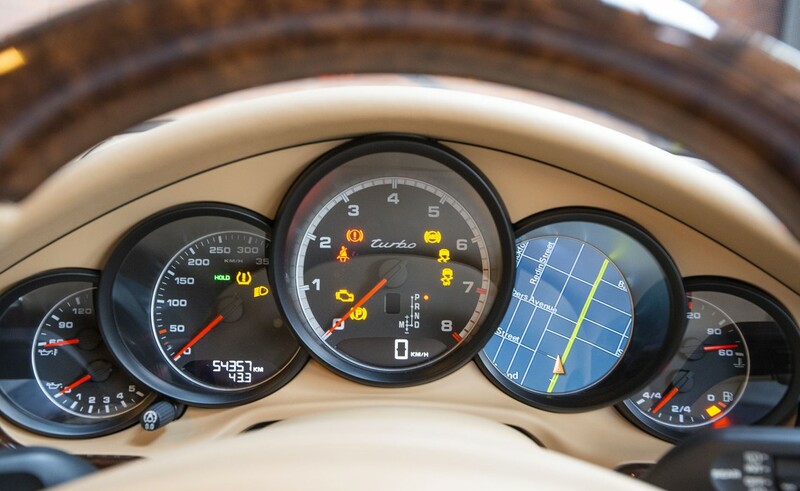 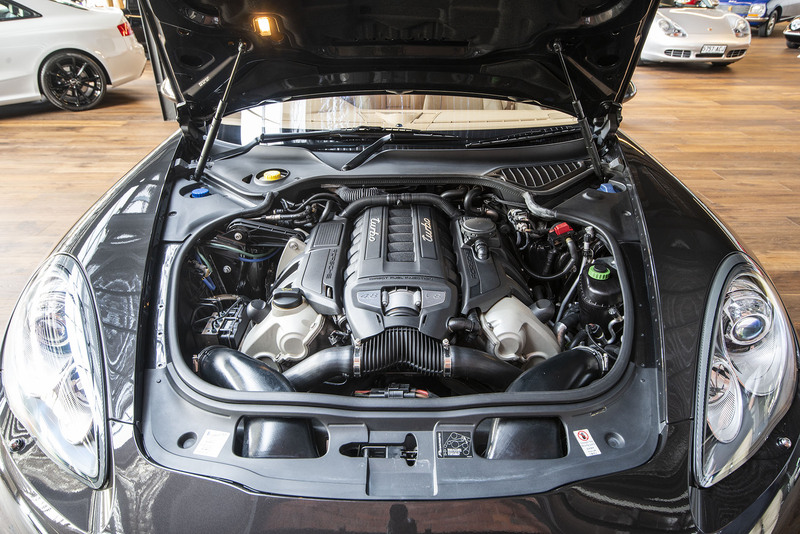 The 4.8 litre twin tubocharged V8 engine is a gem - 500hp (373kW) with enormous torque - sounds magnificent and is coupled to the ultra-efficient PDK double-clutch 7 speed transmission - this can be driven as an automatic or you can make the changes via controls attached to the steering wheel. 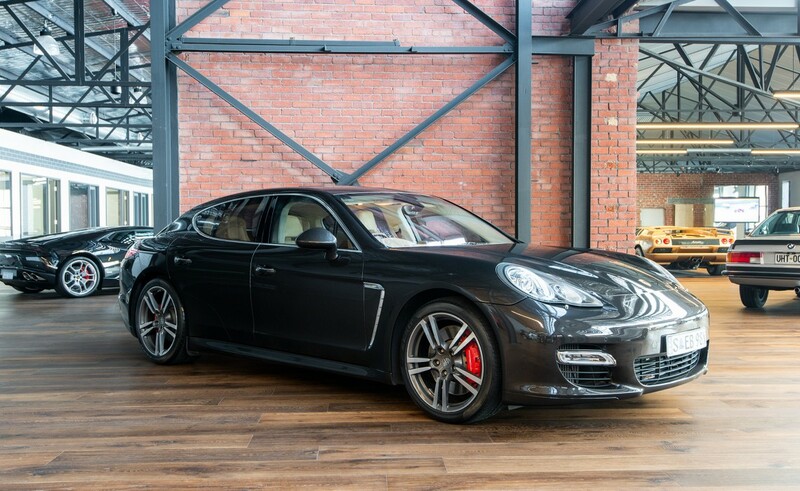 Nil accident history - this is a special low mileage example - over $400,000 when new. 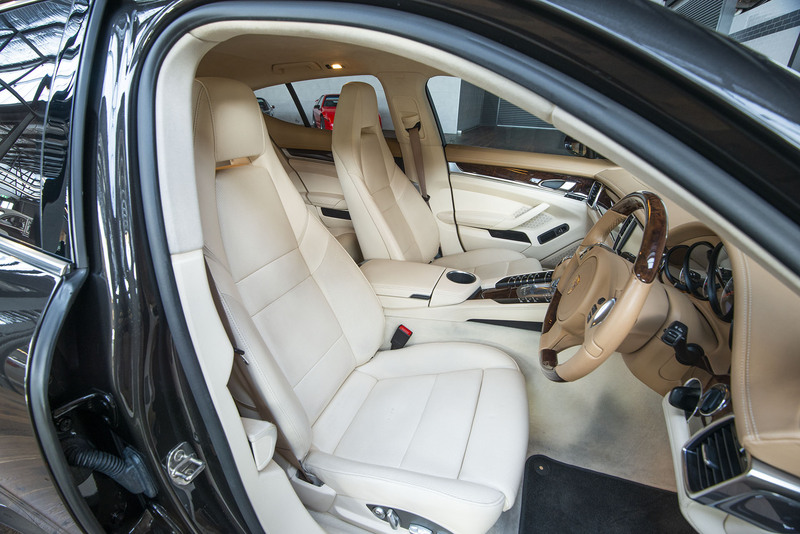 We arrange door to door transport Australia-wide. 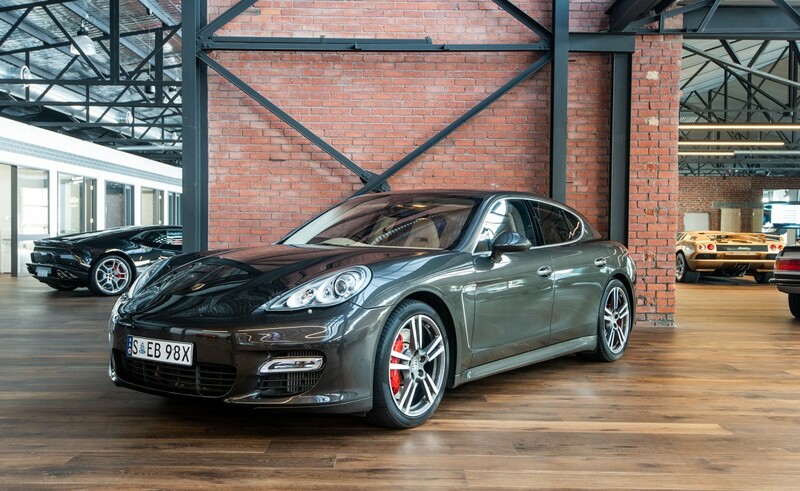 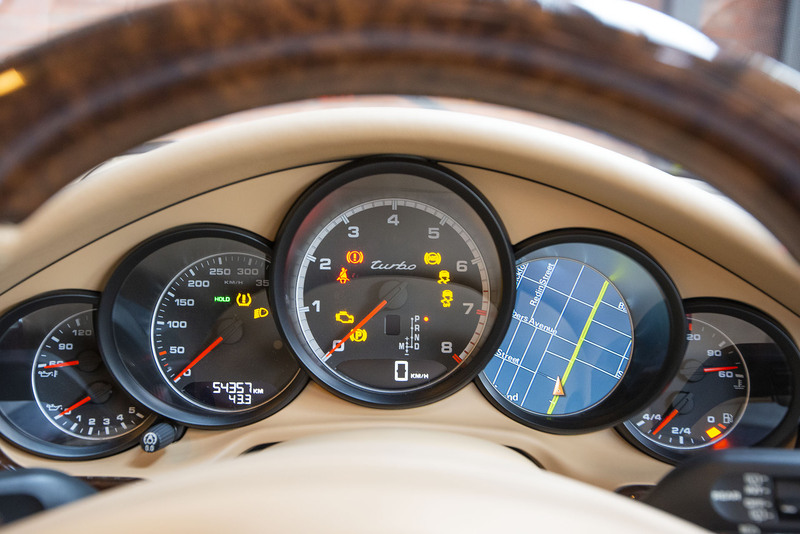 30+ years motor industry experience (13 years with Porsche).